Datamax-O'Neil E-4304B - Thermal transfer, Serial and USB interfaces, 300 dpi, 4.25" print width, 4"/sec print speed, 16MB DRAM/64MB Flash, DPL, tear bar, LED/Button UI, US power cord. 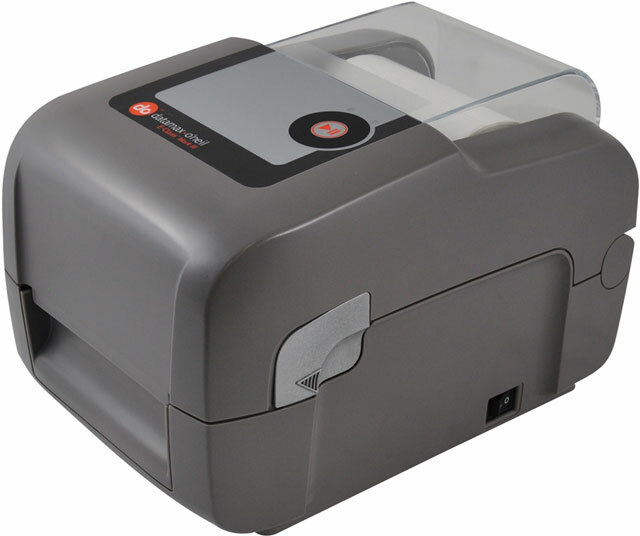 The Datamax-O-Neil E-4304B is a 300 dpi printer designed for a wide variety of industries and applications. The reliable and cost-effective E-4304B features a 4 inches/sec speed and 4.16 print width plus a choice of USB and Serial interfaces. The Datamax-O-Neil E-4304B's large roll capacity and quick-loading media prevents lengthy downtime and enables fast performance. Cable, Serial, 9-pin, PC to Printer, Compatible with All Datamax-O'Neil Printers. 4" x 2" Direct thermal paper label. 800 labels/roll, 8 roll case. Also available as a single roll (Part# 350924-R). 2" x 1" Direct thermal paper label. 1,375 labels/roll, 16 roll case. 4.33" x 984' Black Wax Ribbon. 1" core size. Compatible with E-Class Mark III Printers. 6 ribbon case. Used with paper labels. Also available as a single roll (Part# IQWAX+-110300-R). 3.5" x 984' Black Resin Ribbon. Case of 24 ribbon rolls. Used with polyester labels. 2.5" x 984" RESIN RIBBON 48 ribbon case. Also available as a single roll (Part# IQRES-64300-R). IQRES RESIN RIBBON, 4.33" x 984', 1" CORE, 48 rolls/case. Also available as a single roll (Part# IQRES-110300-R). The Datamax-O'Neil EB3-00-1J000B00 is also known as DMX-E4304BTTDT	or EB3001J000B00	.